A motion proposing investigating the scrapping of the council’s cabinet-style executive has been passed – paving the way for a return to a committee system. The development follows widespread concern about the way decisions are being taken by the Tory leadership, which many say is secretive and does not take into account the views of other councillors and the public. At a meeting of the full council on Thursday, a motion to investigate re-introducing the committee system of governance was voted through, setting the ball rolling for a major overhaul of the way the council is run. “We welcome the motion as we consider the current executive system of decision-making concentrates power in too few hands and is not properly representative. 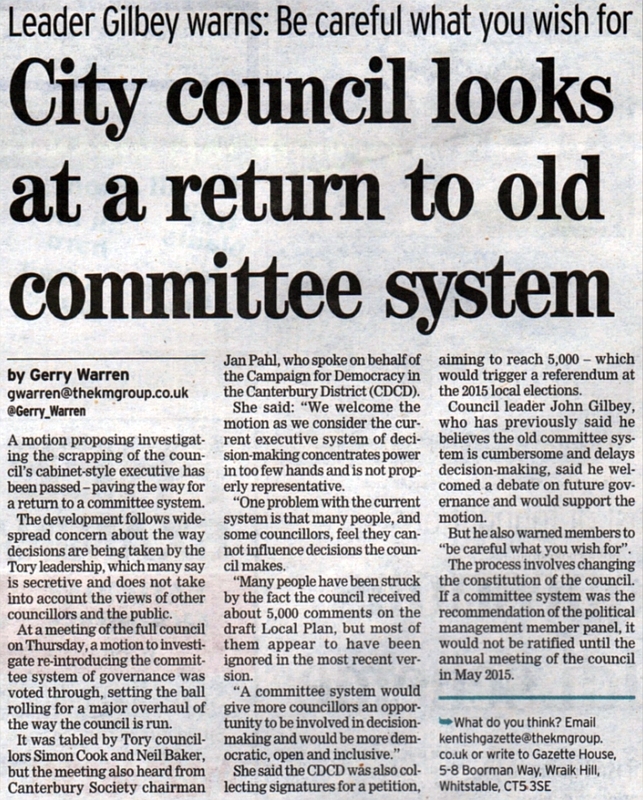 One problem with the current system is that many people, and some councillors, feel they cannot influence decisions the council makes. She said the CDCD was also collecting signatures for a petition, aiming to reach 5,000 – which would trigger a referendum at the 2015 local elections. Council leader John Gilbey, who has previously said he believes the old committee system is cumbersome and delays decision-making, said he welcomed a debate on future governance and would support the motion. But he also warned members to “be careful what you wish for”. The process involves changing the constitution of the council. If a committee system was the recommendation of the political management member panel, it would not be ratified until the annual meeting of the council in May 2015. Where would we build homes for Londoners?